Today's guest is Brad Olsen, director of the documentary Off the Tracks. If you don't know the story about the major debacle that was the release of Apple's Final Cut Pro X get ready to jump into the deep end of editing lore. In 2011 Apple ended Final Cut Pro as we knew it and started over with a brand new video editing application: Final Cut Pro X. The disruption from this change is still being felt by the film, television, and video industries to this day. With ... See More misinformation running amok, Off The Tracks aims to clear the air once and for all. Industry insiders discuss Apple's controversial decision to redesign the video editing application Final Cut Pro. 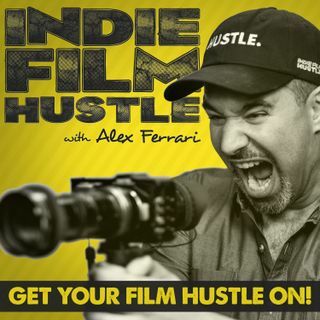 I love this documentary about Final Cut Pro X so much I had to have it on Indie Film Hustle TV. Brad not only loved the idea but he also agreed to jump on the show to discuss why he decided to make a doc about a piece of editing software. He's laughing all the way to the bank.